Image: A well in a valley has a blue magical power bursting out. Six months after the birth of her daughter, Caitlin Ross’s life is in a tailspin. Still suffering from what he endured at the hands of his former lover, her husband, Timber MacDuff, has drawn away. The gods have stopped speaking, except for vague hints in bad dreams. Unwilling to face reality, Caitlin goes about her daily routine as if nothing has changed while deep inside she longs for distraction. When the county sheriff asks for help with a puzzling situation, Caitlin believes her prayers have been answered. A rancher has drowned in the middle of a desert, and the means appear supernatural. The case is right up Caitlin’s alley, but her interest pits her against Timber, who insists getting involved is too dangerous now that she’s a mother. Neither he nor Caitlin realizes a greater danger awaits. Strange events in Gordarosa have brought the area to the attention of a group known as Shade Tracers. Mundane mortals, they’ve taken it upon themselves to protect humanity from magic—with deadly force, if necessary. One holds Caitlin responsible for a personal tragedy, and will stop at nothing to see justice done..
Past and present converge in Caitlin’s darkest adventure yet. With her own life at stake, she must journey through time to uncover the truth behind the Shade Tracer’s obsession. Success could provide the key to solving the local mystery. Failure will doom her to a life on the run, forever hunted. 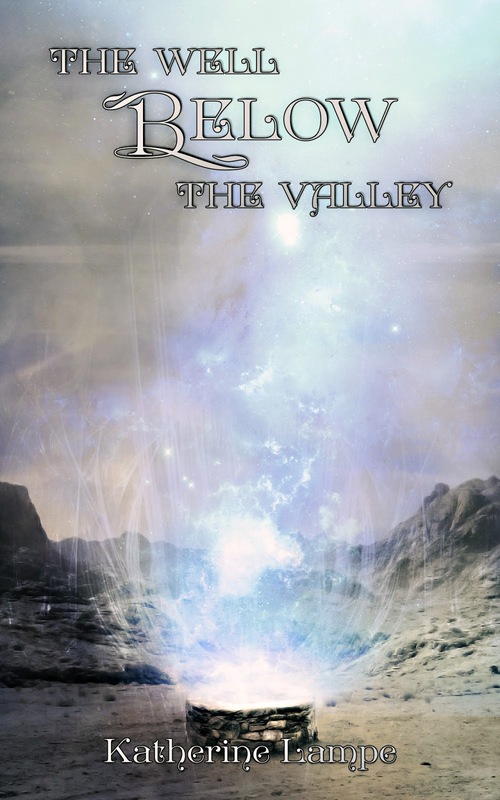 The Well Below the Valley will be released in print and electronic editions August 2, 2016. Just then, some odd flickers from the BLM land adjacent our property caught my eyes. Shading them with my hand, I squinted into the distance. A flash. A beat, and then another. No regular rhythm. They seemed to originate from the low hill from which we often watched the moonrise. Some kids dicking around with a mirror. BLM land was public property, and this section lay convenient to town. Bored local teens partied there. Timber and I combed the ground a couple of times a month, picking up the trash they left behind. I bent to retrieve my basket. As I straightened, the light flashed again, this time with a distinctive quality hard to define. Less like a mirror. More like a flame. I’d just settled on the difference when something whizzed past my left ear, and a cluster of berries fell off the rowan tree at the center of the garden. A split second later, a sharp CRACK! rang through the air. My jaw dropped. What the hell? I lifted my eyes from the rowan berries to the hilltop in time to see the light flash again. At the same time, panicked voice shouted not three feet behind me. A heavy object struck my back, knocking me to the ground. My basket flew from my hand, spilling my harvest. I hit the earth with a shock that drove the wind from my lungs. AS I lay there, cheek in damp soil, the intense, green scent of bruised tomato vines clogged my nose. A foot from my head, a pepper plant exploded. CRACK! Understanding washed over me, and I began to shake. Rural Gordarosa looks like any small mountain town, with stunning scenery and locals who enjoy gossip. Witch Caitlin Ross knows, however, that there’s more to her hometown than meets the mundane eye. The caretaker at the local theater isn’t human, for example. And her best friend’s uncle is a demon. Sometimes Otherworldly forces get out of control, and Caitlin has to step in to put things right. Musician, DJ, and unrepentant Iconoclast, Katherine Lampe studied at the University of Michigan with Ken Mikolowski, and at Naropa University with Allen Ginsberg and William S. Burroughs. The daughter of an English teacher and a self-professed heretic masquerading as a Presbyterian minister, she is interested in the individual's relationship with the divine. Her work explores the interaction of the supernatural and the mundane in the lives of real people.